Enjoy C. J. Brightley's Books? Tell us Why and Win a Free Book! Welcome to C. J. Brightley's BookGorilla Author Page! We're working hard to bring you the best deals ever on C. J. Brightley's Kindle books. 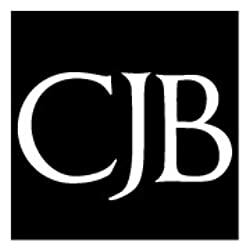 If you’re a C. J. Brightley fan, we'd love to have your help in making this author page special. Tell us, in no more than 150 words, why you think C. J. Brightley is great. Use this webform to send us your submission, and if we select yours we'll offer you one of C. J. Brightley's books or a Kindle Gift Card as a free gift! Thanks! Please enter your email address and click the Follow button to follow C. J. Brightley! A brother and sister play at being heroes, and the game changes their lives. This is a NOVELLA and is about 16,200 words. It stands alone but is set about 12 years after Street Fox and several generations after The King's Sword. It is concurrent with an upcoming novel. A boy learns heroes still exist. This is a short story set in the world of the series Erdemen Honor. It is a prequel/introduction to an upcoming novel and takes place several generations after The King's Sword. It is 6166 words. Young Hannah receives an interesting letter. Is her pen pal a fairy prince or a prankster? How long will he write to her, and what will change as a result of his letters?He offers her a wish. Can he really grant a wish? What will she wish, and what will she offer him in return? For better or worse, decisions have consequences.Even for a fairy king.